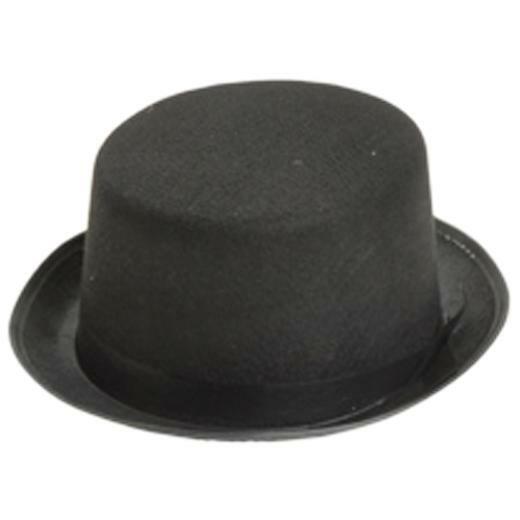 Dress up any costume with a dapper black felt top hat. Every magician needs a black hat for his rabbit trick. These top hats also make a great New Years Eve party hat. Stock up on all your costume accessory and hat needs with US Toy. We have a wide selection of novelty, career, costume and whimsical hats to suit any occasion. You'll be sure to find the right hat for your next party or costume with US Toy. L: 9.25 in. W: 10.6 in. H: 4.4 in.